What is Kuk Sool Won™? 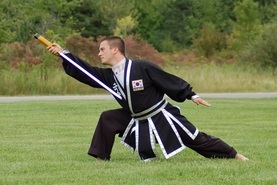 Kuk Sool Won™ is a systematic study of all of the traditional fighting arts, which together comprise the martial arts history of Korea. 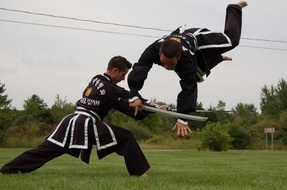 As a martial arts system, Kuk Sool Won™ is extremely well-organized; and seeks to integrate and explore the entire spectrum of established Asian fighting arts and body conditioning techniques, as well as mental development and traditional weapons training. The following list includes some, but by no means all, of the elements of Kuk Sool Won™. Body conditioning and agility techniques. Acrobatics for defense and offense. 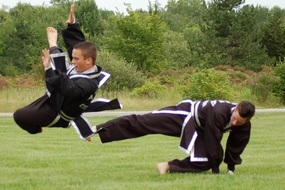 As you can see, Kuk Sool Won™ covers an extensive variety of martial art techniques. 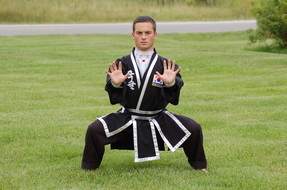 But it is not merely concerned with methods of attack and defense, Kuk Sool Won™ also includes the study of healing techniques and the development of internal power, in addition to the physical training. 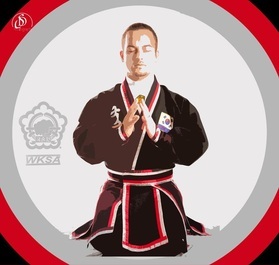 Mental development is of equal importance in Kuk Sool Won™ and helps to instill self-confidence and self-discipline, a calm self-assurance, and the psychological and spiritual values which are traditionally associated with the character of a martial artist.